There will be no shortage of fun and entertainment on offer in Tamworth over the coming months following the launch of an exciting new season of events. 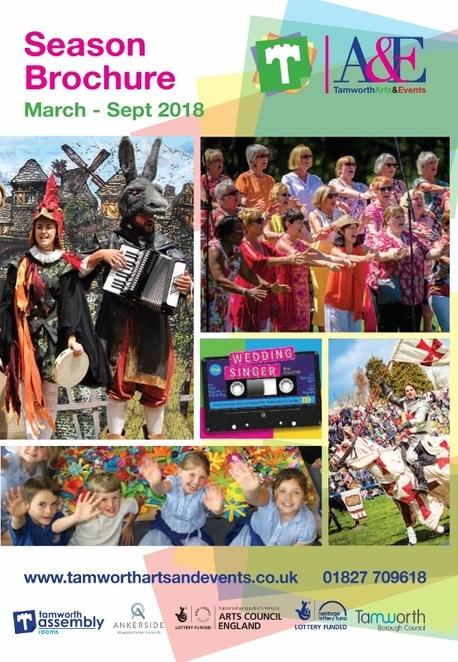 Tamworth Borough Council's Arts and Events team has published its latest Season Brochure which is packed with a varied line up of shows and performers for local families and visitors to enjoy between March and September 2018. Live musical shows, performances of fire and puppetry, together with the return of the popular St George's Day extravaganza, Outdoor Cinema and We Love Tamworth festival, are just some of the highlights lined up in Tamworth's exciting new season of events. The programme also includes more Assembly Rooms on Tour shows, taking some of the theatre's favourite performers out into community locations. The new season begins on March 14 when Tamworth Assembly Rooms continues its tour with a drama festival at Two Rivers School Torc Theatre. The exciting week of theatre and drama provides performance groups with the opportunity to enter the celebrated All England Theatre Festival by demonstrating their talent with three One Act plays being showcased each evening. The next 'on tour' performance is the musical comedy, The Wedding Singer, which will be performed at Landau Forte Academy from April 4 to April 7 by Tamworth Musical Theatre Company. One of the main free activities on the horizon is the St George's Day extravaganza held in Tamworth Castle Grounds on Saturday 21 April. 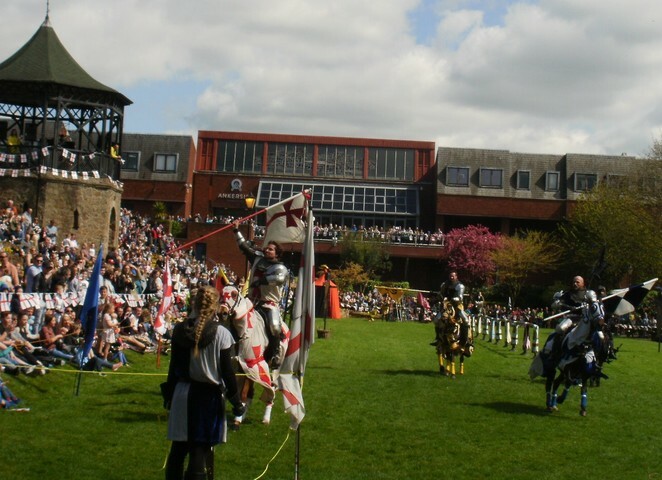 The annual celebration attracts thousands of visitors, with attractions including live-action medieval jousting, a living history medieval encampment and a five metre long animatronic dragon. Touring Theatre returns on May 18, at the Sacred Heart Church, when Live and Local present a haunting masterpiece of classic silent cinema. Minima Nosferatu – "A Symphony of Horror (1922)". The programme of outdoor events continues with the return of The Fabularium to the Castle Grounds on May 29, with a free family show telling the story of four animals who all share a passion for music. The Town Band of Bremen is an amazing performance of storytelling, live music, mask work and puppetry. Also at the Castle Grounds, on the upper lawn, Marie Celestial perform for the first time in Tamworth on Saturday 9 June with their live aerial circus on board a roaming, mechanical space-faring beast. The show promises to be a spectacular show of fire and puppetry and clockwork mechanics. 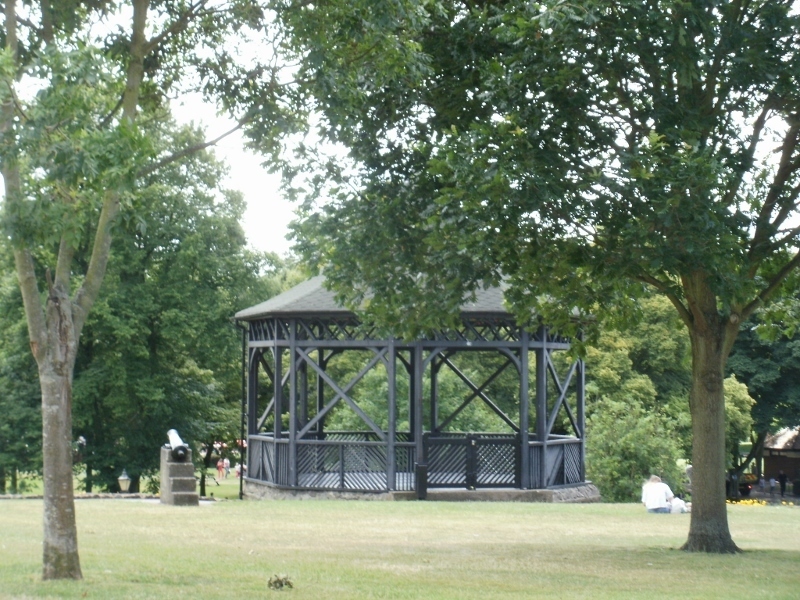 Also in June, Tamworth Borough Council's programme of Summer Bandstand Concerts begins on Sunday 10 June with the first in a variety of bands, singers and clubs taking to the stage. Outdoor theatre entertainment returns on June 23 when Quantum Theatre presents an enchanting adaptation of Kenneth Grahame's, The Reluctant Dragon - a touching and funny tale of bravery and friendship for the whole family to enjoy. Bring a blanket and a picnic and head to Dosthill Park. 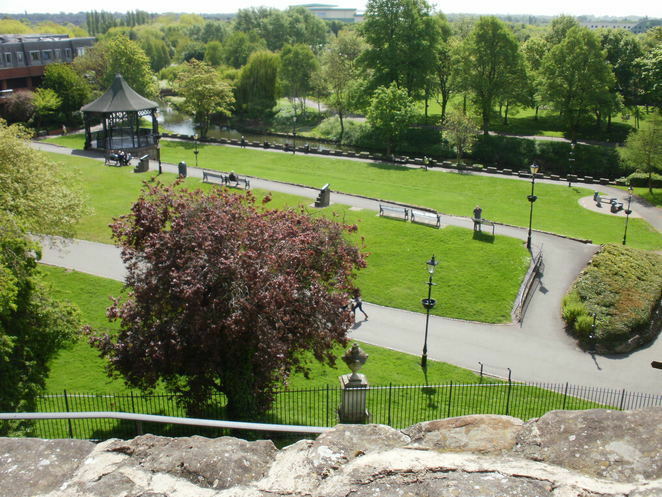 Various activities will be taking place this year to mark the 1100 year anniversary of the death of Tamworth's 'Lady of the Mercians' - Aethelflaed - including the unveiling of the giant Mercian Mosaic in the Castle Grounds on Saturday 14 July. The following month sees the return of Outdoor Cinema to the Castle Grounds on August 4 with the winning films for this year being Top Gun and Labyrinth. September then concludes the season's events programme with the annual We Love Tamworth festival which will bring the Castle Grounds alive on September 1 with a host of activities for children, grown-ups and four-legged friends too! Tamworth also invites people on September 1 to complete the library's summer reading challenge and celebrate with a fantastic show – 'Space Rebel Princess' - an interactive show for children aged 5-9 and their families. Councillor Robert Pritchard, Deputy Leader of Tamworth Borough Council, said: "This is another great line up of events, with some exciting new features alongside the more popular festivities which have put Tamworth on the map in the recent years. Providing quality entertainment for our residents and attracting visitors to the town remains a key priority for the council and our thanks go to the Arts and Events team for organising another fantastic selection. We hope to see lots of people coming out to take part in the fun." Full information on the events, including ticket details, is available online at www.tamworthartsandevents.co.uk or by calling the Box Office on 01827 709618.